This consistent blogging thing is not working in my favor and I feel terrible! There are so many topics I want to cover and never seem to find the time. I love each of you who have reached out to me and told me how much you enjoy my little creative space on the world wide web 😛 Thank you for being patient. 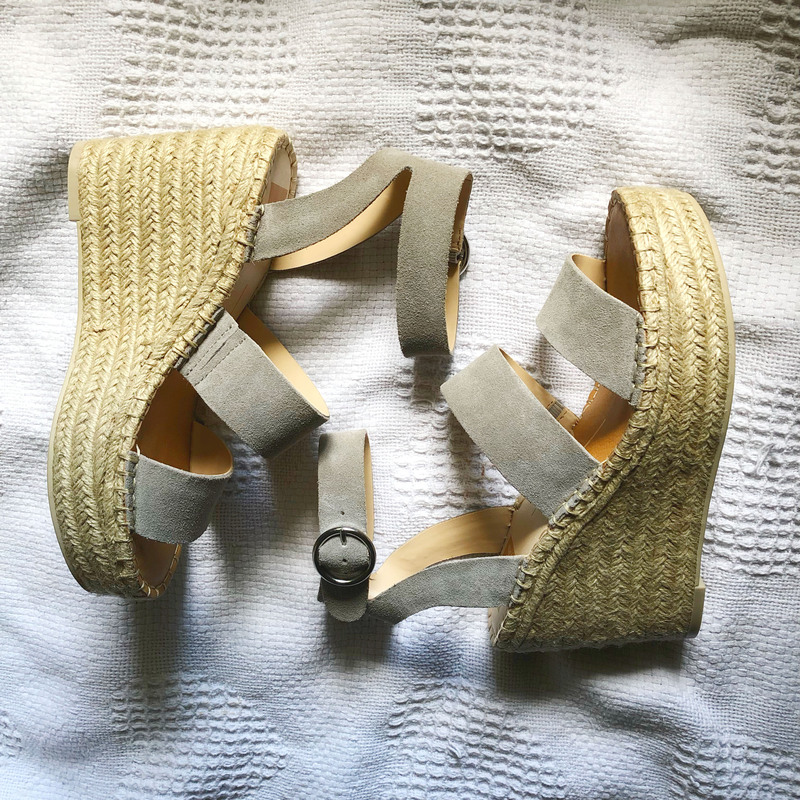 Today I am going to focus on some summer wedges you must get and a quick life update. Thanks to my former neighbor and friend, @boymom_style_file, I have these amazingly comfortable, super cute wedges for summer! She found them at DSW and thank goodness she shared them on her Instagram! You should really get a pair! They come in white, blush (which I am wanting), rose gold, grey, and black. You can find them here or on the “Shop My Looks” page. Also, go give this gorgeous gal a Follow! There are a few other wedges I have my eye on, so I have included those below. Goodness, where to begin…I accepted a new job in December, started in January, and suddenly it’s mid-May!? What happened?! I have been absolutely loving my new job, responsibilities, and my team. I don’t get as much one-on-one interaction with student assistants like I did in my last position, but the positives certainly outweigh the negatives. The first day I stepped foot in my office I knew I was meant to be with this group. I have been to two professional conferences and have another one coming up at the beginning of June. I love departments that believe in developing their staff. It goes a long way with retention of employees. Our department’s director also started what I refer to as “book club” with myself, the other assistant director, and the associate director. We are reading John Maxwell’s The 5 Levels of Leadership and the time with each other is really uplifting and eyeopening. The opportunity to discuss our takeaways from the book and learn from each other makes each of us stronger leaders. Plus spending uninterrupted time with our director is a bonus. We are all so busy and rarely have time to talk. One of last week’s discussion questions asked what would you do with an extra 8 hours. The takeaway was there are only 24 hours in a day and we are not given more time so how can we spend time reflecting and planning for the future with the same amount of limited time. It was a great reminder to use any “free” minute to do so. Whether that be on a commute, in the shower, or while waiting for your Starbucks order! The hubs has switched to day shift and adjusting fairly well. Always an adjustment for us when we take on new habits and routines. Last week was National Police Week. 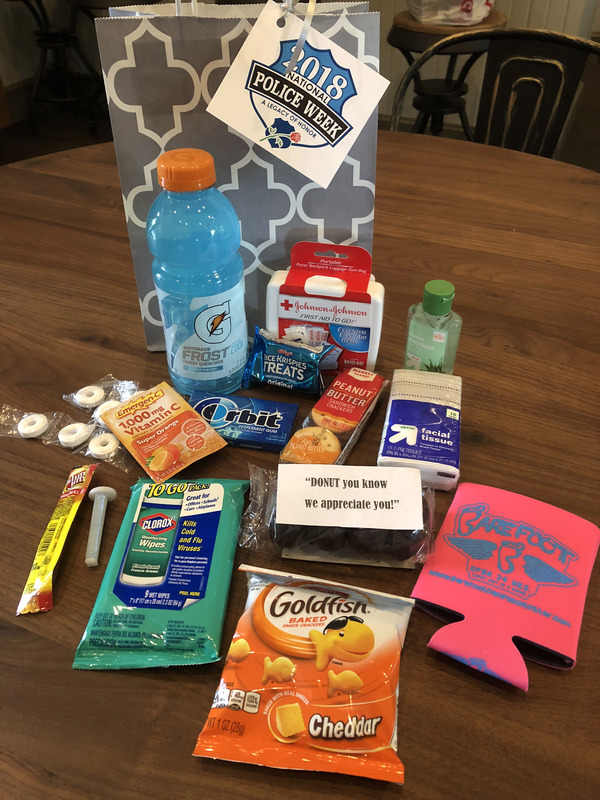 As a thank you to the officers I got together with the other wives, girlfriends, family members to put together goodie bags for each of the officers. We kept is simple and added some snacks, hand sanitizer (a must), car air fresheners, etc. It was certainly a group effort and I couldn’t have done it without help. Next year I would like to make it bigger, but we were crunched for time (remember how I started this section…”suddenly it’s mid-May!?”). 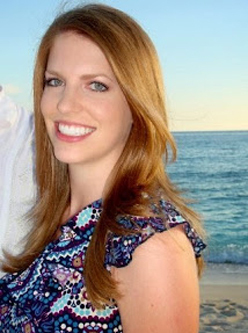 The most exciting thing to share is that the hubs and I are finally returning to Grand Cayman! It has been 4 years since we went. He and I will head there a few days earlier than the rest of the family. We wanted to make sure we got some travel time to ourselves since this last year has been busy and we have rarely had time to be together. There are so many things we are looking forward to on this trip. Particularly being lazy 🙂 After all our travels the last two years we are ready for some peaceful beach time with zero expectations and plans. If we want to take a nap and sleep in, we can! I think that is all I wanted to include in my life update. Follow our travels through Snapchat (@r8d6g) and IG Stories (@lexiandlady).